Contrary to popular belief, vehicle purchase decisions are still being made at physical dealerships, most likely following a test drive – NOT exclusively online. By using targeted test drive offers on your website, third-party sites and across channels, Dealers can positively disrupt a customer shopping online just long enough to influence them by giving them a reason to visit your showroom instead of your competitors’. Test drive incentives are one of the most cost-effective marketing tactics, consistently delivering buyers into Dealer showrooms and in the drivers’ seat of a vehicle. Below are the top five benefits of using test drive incentives at your dealership. Convert your highest intent-to-buy website traffic and third-party site traffic into showroom visits with highly targeted, private test drive incentive offers, redeemable only by test driving a vehicle at your dealership. By presenting customers browsing your inventory online with a $25-$75 incentive to test drive one of your vehicles, you’re giving them a reason to visit your store over the competition. We know shoppers viewing specific inventory pages online are lower down in the purchase funnel, therefore using incentives only further increases your likelihood of converting online traffic into showroom traffic. With science on your side, you can see whether the leads in your CRM ended up purchasing from you or someone else. Being able to see where, how and why you’re losing sales makes it easy for Dealers to make smarter decisions about how to spend finite, often unvalidated marketing dollars. Test drive incentive campaigns can be executed across all digital channels and customized in-flight to support each Dealer’s unique initiatives. 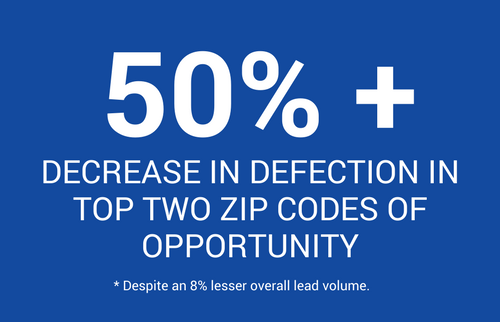 Target underperforming models, ZIP codes or lead sources with higher value incentive offers to reduce your defection rates. In addition to your website visitors, send email incentive campaigns to re-engage all your third party leads and further combat defections and drive customers into your showroom. New vehicle sales may start online, but they end at the dealership. The best digital marketing tools attribute all sales and showroom visits back to a single offer or campaign, so your ROI is never in question. Use trackable test drive incentives across channels as one of the most effective, cost-efficient ways to get customers in your showroom and behind the wheel, while properly attributing incremental sales directly back to an offer. Leads generated from these private offers consistently close at both a high rate and a low cost-per-sale. Car buyers today might be less brand loyal than ever before. CarMax says only 19.4% of their customers in 2017 purchased the same brand as their trade-in, while the remaining 80.6% bought a different brand. Our own studies show that across all OEMs, an average of 78% of buyers that submit an AutoHook test drive lead are new to the brand, meaning these are not repeat customers that would have come in anyways. If you’re able to provide your customers with a great initial buying experience when they come in to redeem their free gift card, the chance of them returning for a second or third purchase increases, thus improving your likelihood of gaining repeat, loyal buyers. This one might be a given, but it had to go on the list. We know Dealers have the best chance of converting a lead to a closed sale when they can get the customer physically in front of them. Getting customers offline and into the showroom is the entire purpose of using test drive incentive offers. 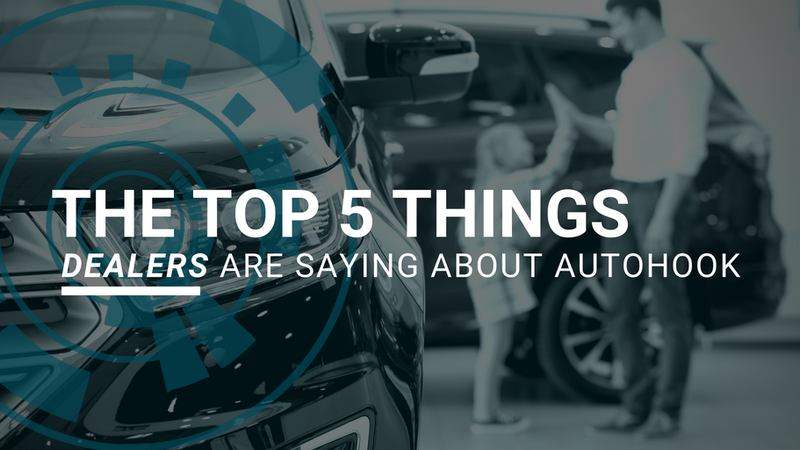 At AutoHook, we believe the value of our solutions is most powerfully defined by the dealers that use them. We’ve been fortunate enough to have an arsenal of dealer testimonials we’ve collected across all brands over the last few years. Out of our current customer client base, we have a total of 150 real dealer testimonials. 2. AUTOHOOK INCREASES SHOWROOM VISITS. "We have discovered that not only is the AutoHook technology an important part of our website strategy but is also very effective in our Event Marketing Campaigns, Microsite Campaigns and Permission Based Marketing. We use it to attract clients to our showrooms and to anchor appointments… perhaps, one of the best things we have done in a long line of eBusiness strategies over the past few years!" 3. AUTOHOOK ATTRIBUTES THEIR SOLUTIONS DIRECTLY TO SALES. 4. AUTOHOOK PROVIDES US WITH ACTIONABLE DATA. "We entered into our first meeting with AutoHook searching for answers. After reviewing our initial Traffic Conversion Analysis (TCA), we left our meeting with a detailed game plan. From the moment we hung up the phone, we got to work implementing new strategies in areas we were able to determine specific weaknesses. We are extremely confident these changes will undoubtedly grow sales in 2018. We look forward to reviewing our analysis on a monthly basis in order to consistently stay ahead of the competition." 5. AUTOHOOK IMPROVES DEALERSHIP SALES OPERATIONS. Want to share your dealership’s success story? Email our dealer support team at DealerSupport@UrbanScience.com. For a limited time, dealers that submit a written testimonial will receive a $25 Amazon gift card or a $50 Amazon gift card for a video testimonial! Rogers Hyundai needed a way to make sense of their CRM data to expose inefficiencies in their sales process. They had no way of knowing which sales and marketing efforts were tied to the highest number of lost opportunities. They needed a solution to pinpoint operational areas of high defections in order to implement changes to reduce lost sales and close more deals. 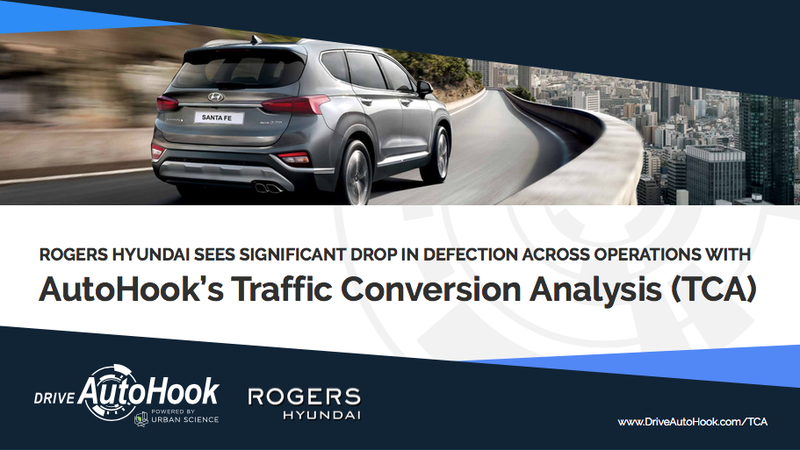 Using AutoHook's Traffic Conversion Analysis (TCA) and the resulting action items AutoHook recommended, Rogers Hyundai successfully decreased their overall defections, while significantly increasing the performance of their lead follow-up process in just three months. In addition, TCA was able to prove the dealership's sales staff decreased defections during this period, with one undercover rock star who increased their closed sales by a whopping 118%! CHECK OUT HOW WE DID IT! 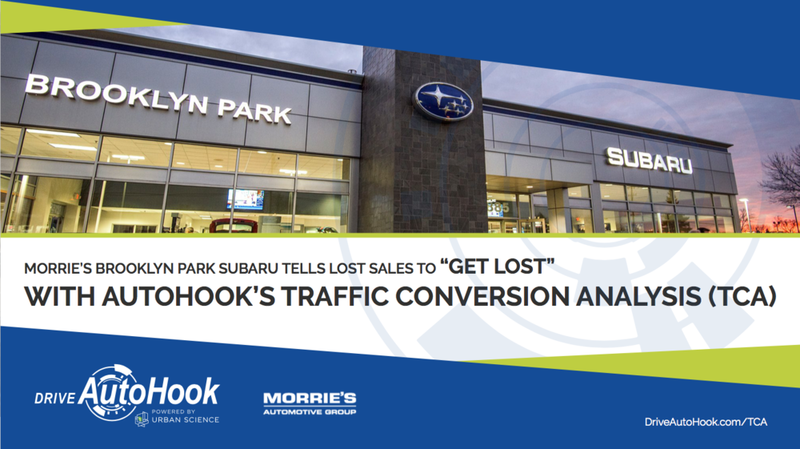 In a down market, Morrie’s Brooklyn Park Subaru experienced a considerable decline in lead volume from April to June of 2017. In addition to a large drop off in leads, their lost sales and defection rates were significantly higher than the national sales trends. They needed a solution to identify the source of all lost sales and a strategy to reduce the rate of defection to other dealers, while growing their market share in surrounding zip codes. SEE HOW WE DID IT! Read the full case study below. AutoHook has announced they have completed the integration process with the industry’s top leading website providers. Mutual clients of AutoHook and the affiliate companies listed below are now set up to successfully target and incentivize customers to visit dealer showrooms based on any specific vehicle of interest - down to the year, make, and model. For Dealer.com, CDK Global, DealerOn, DealerSocket/DealerFire, Dealer eProcess, Dealer Inspire and fusionZONE clients, AutoHook has set up additional targeting functionality that triggers based on a vehicle’s number of days on the lot - a valuable feature that will eventually be available to all providers. 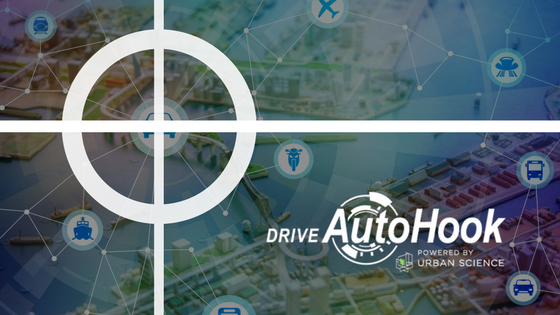 All website companies participating in this shared technology solution can now ensure their dealer clients have the ability to target individual vehicles with custom test drive and private purchase offers using AutoHook’s Web2Show solution. AutoHook executes tailored campaigns both at the dealer and OEM-levels to increase incremental showroom traffic, new to brand buyers, and sales based on their unique sales goals and areas of opportunity. Prior to combining efforts with the industry’s largest traffic drivers, AutoHook’s incentives were limited to search results pages (SRPs) and vehicle details pages (VDPs). The ability to increase offers on specific model pages was in the works, and after successfully integrating with each of these website platforms, AutoHook can now execute higher dollar test drive offers on any new or used VDP and help dealers move aged inventory in a faster, more efficient manner. Whether you need to boost underperforming models or simply give customers a reason to visit your showroom, AutoHook is scientifically proven to deliver incremental showroom visits that purchase cars. Powered by Urban Science’s near real-time sales match database, AutoHook can attribute all sales to a specific campaign – instantly validating ROI at an industry-low cost per sale. AutoHook is both honored and excited to work with in tangent with these automotive technology frontrunners to offer complimentary targeting enhancements for all mutual clients. 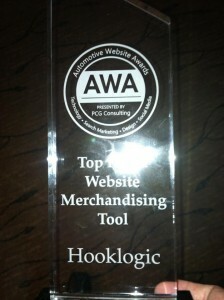 At the Automotive Website Awards (AWA) Ceremony Wednesday night, our AutoHook Web2Show solution was awarded the Top Website Merchandising Tool for 2012. The AWA's honor the top vendors in the website, mobile, technology, and innovation categories each year. This is the 4th year for the awards, and all of us at HookLogic are honored to be named amongst such an elite group of prominent companies in our industry. Although the 2012 year is still upon us, this accolade has sparked a trip down memory lane that pinpoints the milestones HookLogic, as well as our clients, hit this year. I can only assume that these are some of the very milestones that ignited last night’s AWA recognition. Introduction of PureCars Tradehook: This incentivized online trade-in appraisal tool enables dealers to generate additional trade-in acquisitions using gift card incentives. For the first time, dealers can drive the most desirable trade-ins into the showroom so that Used Car Managers can achieve a higher ‘win’ ratio. We’re keeping Used Car Managers away from the auction lanes and in the store, where they are most valuable. Continued advancement of our industry-leading Lead2Show solution: Not only can we target by geographic region, inventory, and lead source. Our Polk Lead Intelligence, Dataium In-Market Lead Alert, and other data enhancements continue to push our showroom visits to an all-time high for the company. 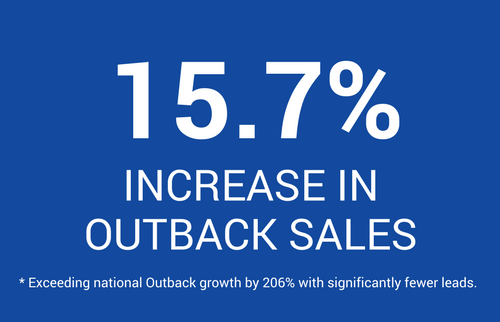 Equally, we are seeing an increase in sales in our quarterly Polk Registration Reports. You will hear more about this later this month. Our clients succeeded…and shared: Although our clients are have always seen value in what we provide, this year many of them chose to share those successes on video. This is meaningful to the industry in terms on building a social, personal community of dealers all working towards common goals, against common challenges. Mobile launch: This was a big one. We launched new mobile capabilities that enabled automotive dealers to provide incentives to customers who visit their mobile websites or mobile apps. Auto dealers can now validate a customer’s AutoHook incentive coupon without being tied to their desk. Lastly, as I look at this fantastic list of strong, progressive companies, I can’t help but take a moment to recognize one of our partners that we share this honor with. ActiveEngage (Voted Top Rated Chat Solution). Cheers to a groundbreaking 2012, and the inimitable innovation to come in 2013.